Are you a serial scarf-knitter? Interested in tackling a bigger project with some shaping? Try a sweater! 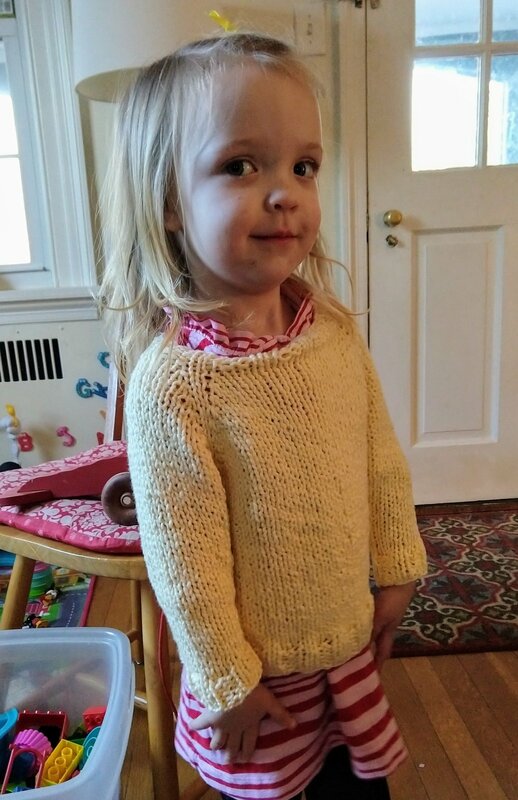 We will be learning to make a top-down seamless sweater (no sewing it all together at the end!). The first class we will cover gauge and setting up your knitting for the yoke of the sweater. You'll have three weeks between classes to finish your yoke, then we'll get together again to start the sleeves and body. You'll have the option to choose any size - make a baby or child's sweater if you want to learn the technique but don't want to over-commit on the knitting time, or you could make one to fit you perfectly, or even knit a giant sweater for your favorite yeti. Or Gritty. Note: amount needed will vary greatly depending on the size you're making - talk to us for help. The pattern will be included with the class.